I have a confession. I hate Elmo! I'm secretly not at all sad about the whole Elmo's voice dilemma. It may mean Sesame Street retires Elmo to the old puppet home (or even kills him off). 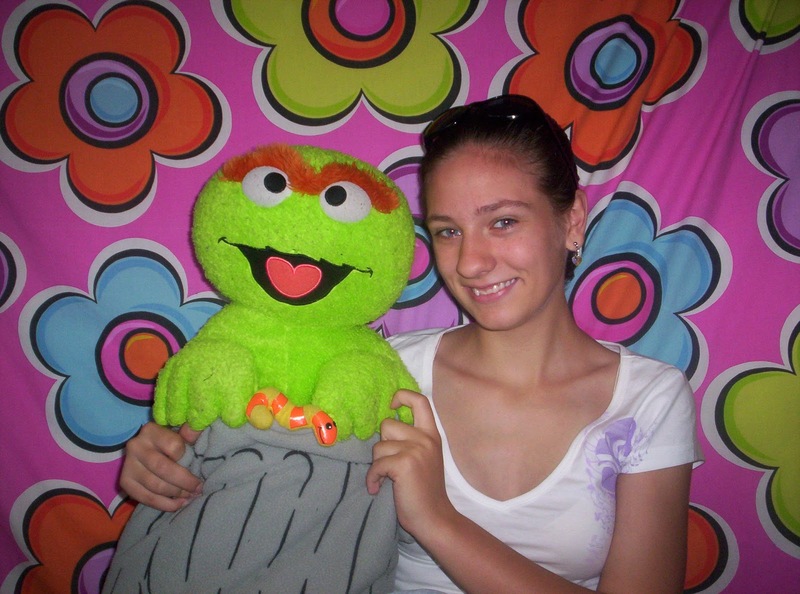 I'm just the right age to be the original Sesame Street generation. I remember Kermit before the Muppet Show when he was just a reporter in a trench coat. When Elmo got a staring role, it all went downhill from there. I think I may have influenced my children that old school Sesame Street is best. 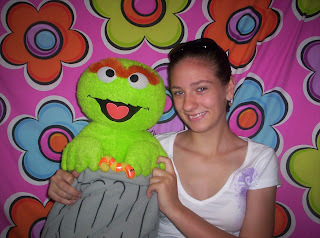 The eldest daughter has a minor obsession with Oscar the Grouch. I have been cleaning her cupboard this week and found six Oscar t-shirts and three pairs of Oscar pajamas. This is the Oscar shelf. There do seem to be a few minor anatomical models here too. Oscar may not feature heavily in the current Sesame Street merchandise but his influence is wide as a source of inspiration in the world. 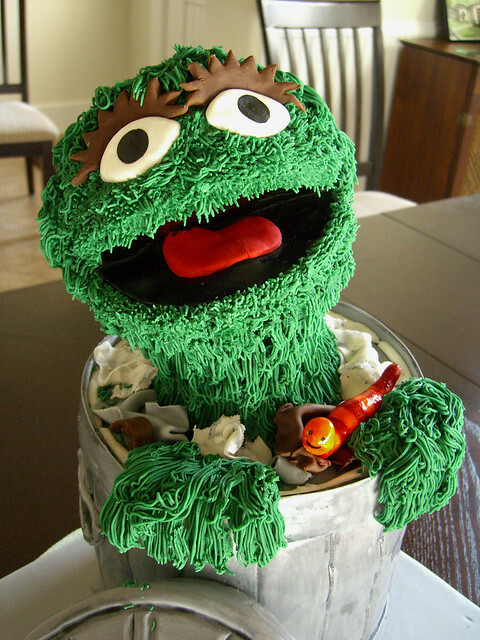 People make awesome Oscar cakes. 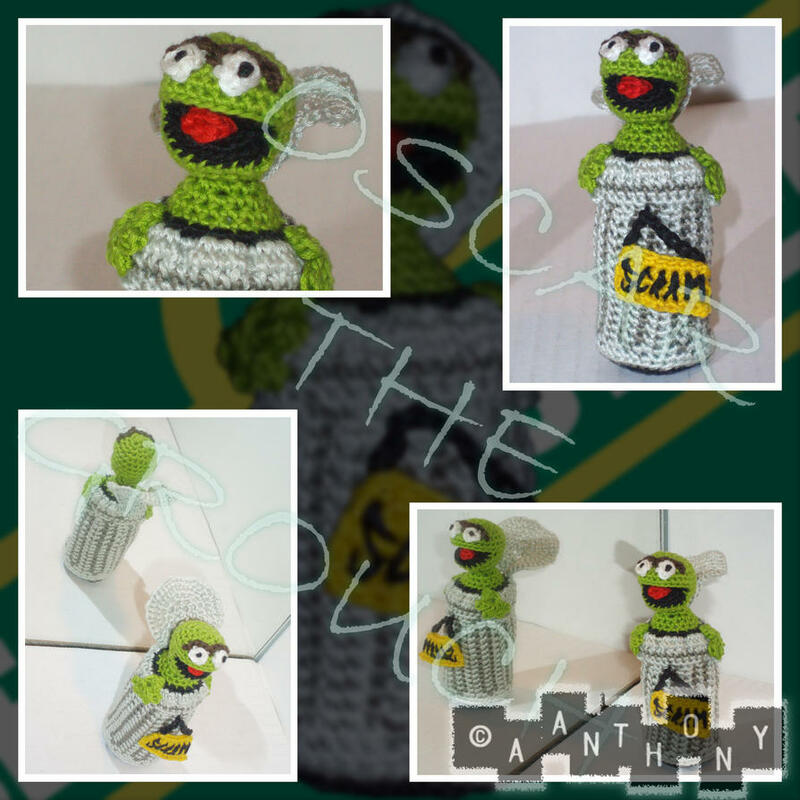 People have created some awesome knitted and crocheted Oscars. 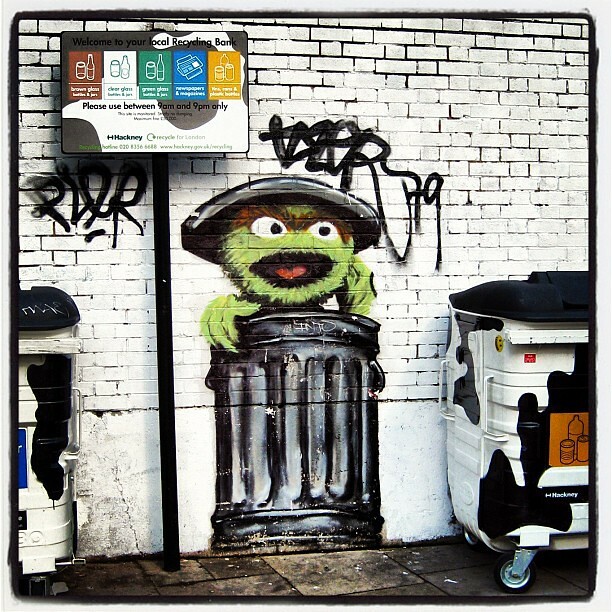 Oscar has been taking it to the streets. Strangely enough encouraging recycling? 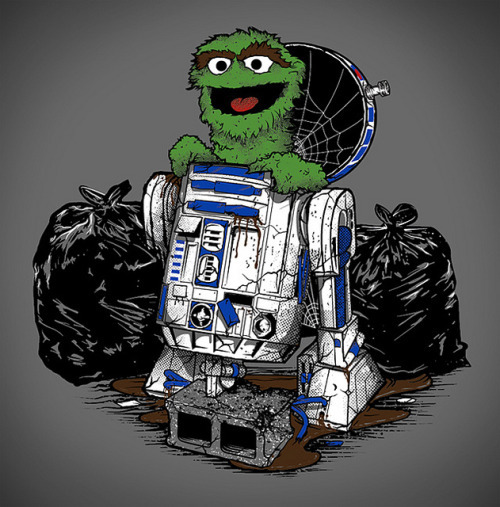 And it seems Oscar has a secret to tell us about Star Wars. And there seems to be a really weird obsession by photographers with dressing babies in Oscar the Grouch hats and taking pictures of them in trash cans. I was seriously scared at how many of these I found. Did you know Oscar was originally orange? 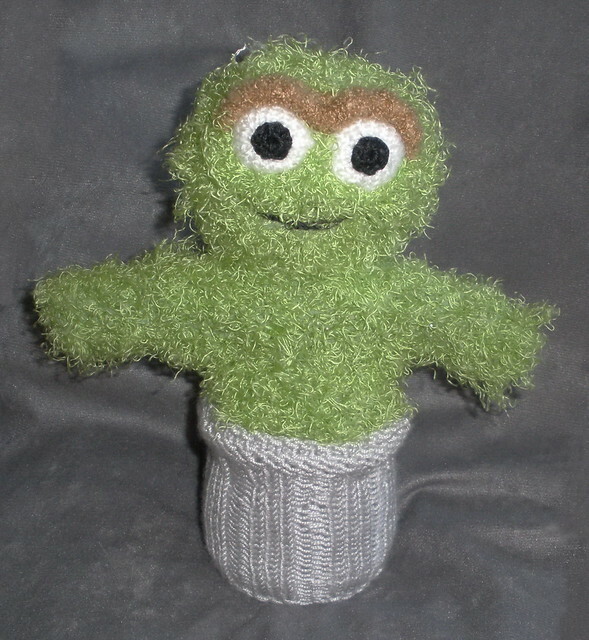 This is Oscar the Grouch from the first season of Sesame Street. Apparently he became green due some issue with a mouldy, muddy, swampy holiday spot. And here's some classic Oscar singing, "I Love trash".